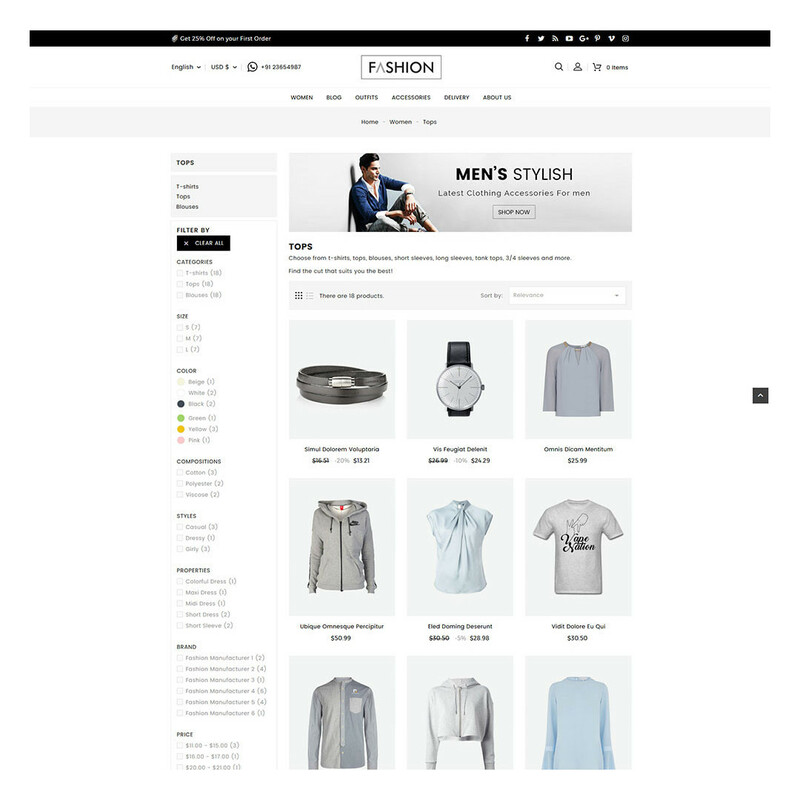 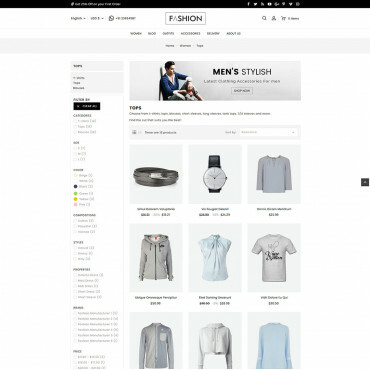 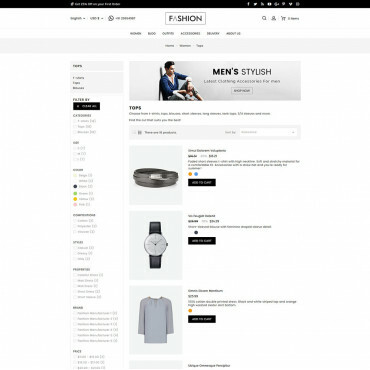 Fashion is a flexible and attractive Fashion & Shoes Prestashop theme. 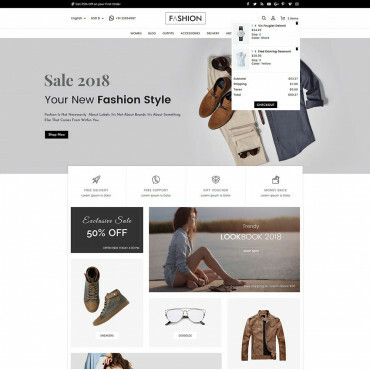 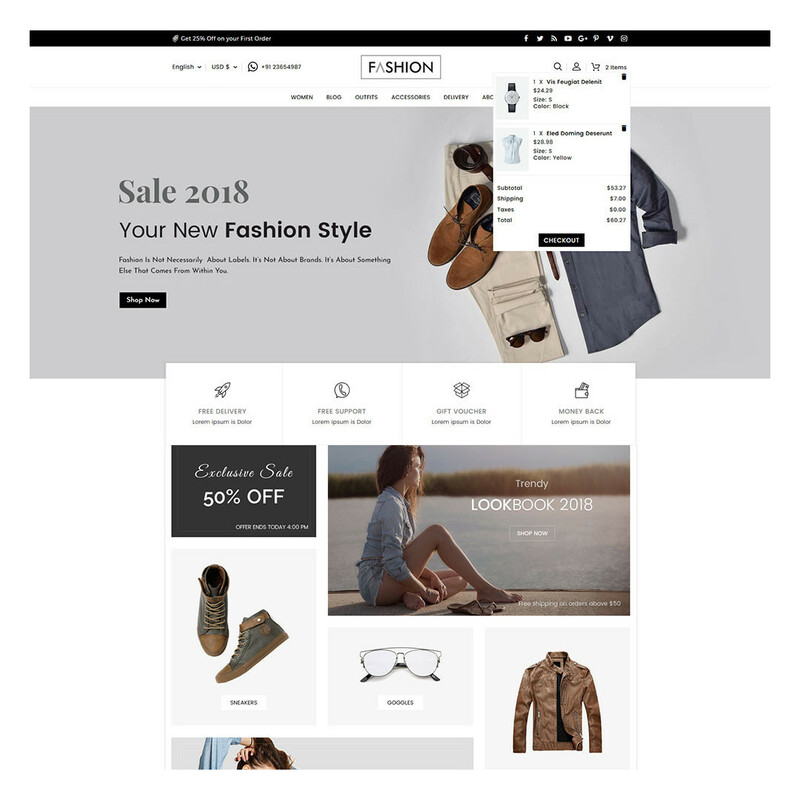 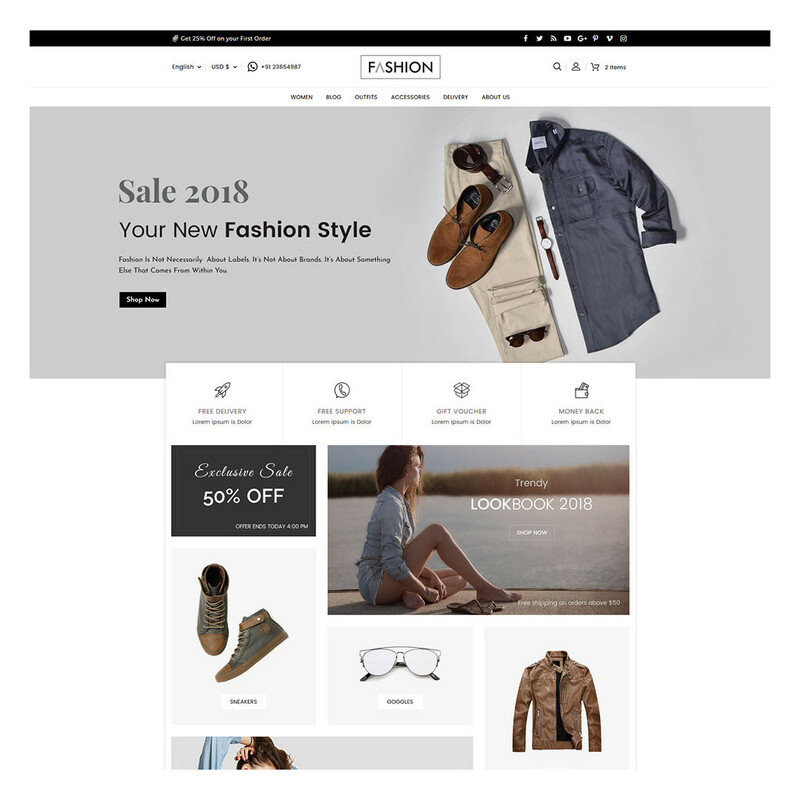 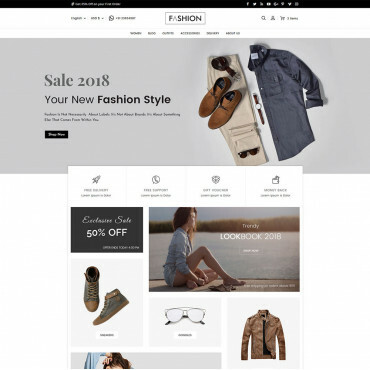 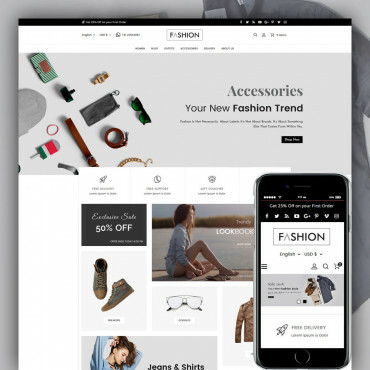 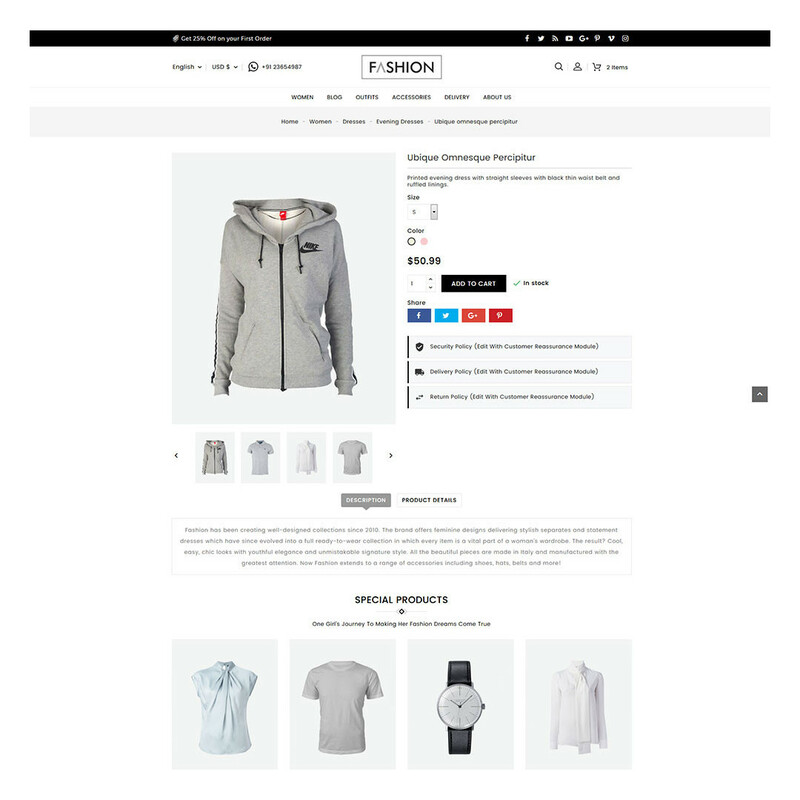 The theme includes powerful modules and innovative design with many features and logical layout that would easily fit onto your new or existing online store. 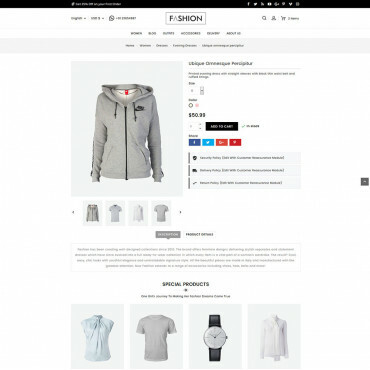 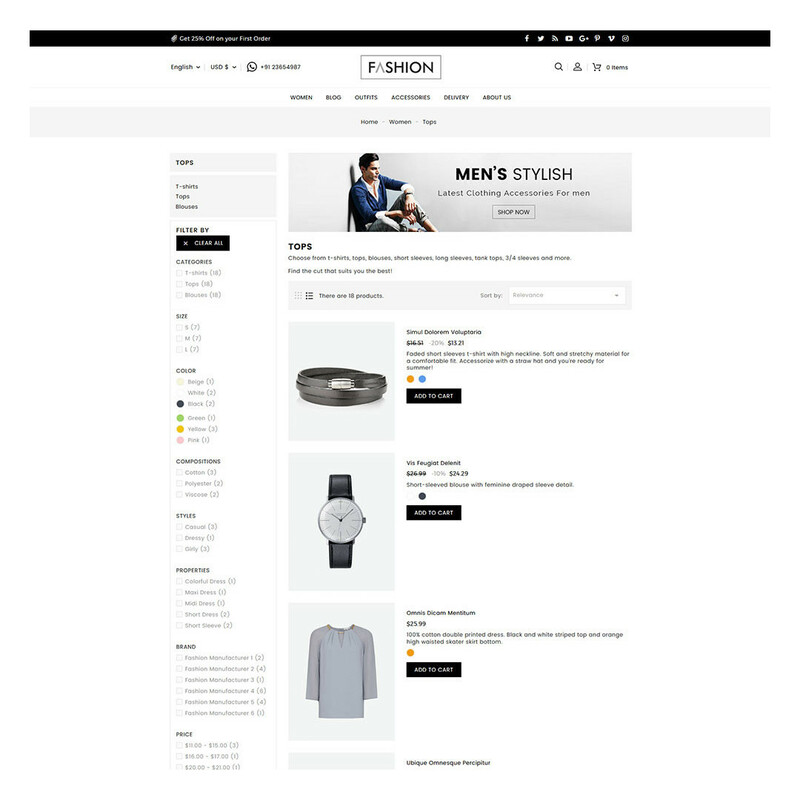 Fashion is a fully responsive with cross-browser compatibility and friendliness with Mobile devices. 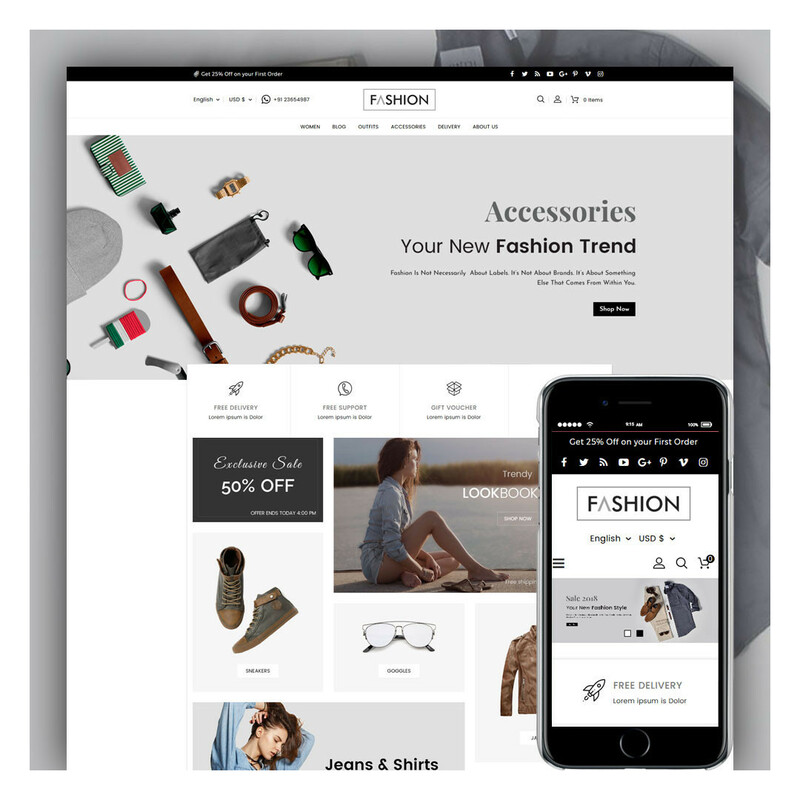 The Theme is suitable for Fashion & Shoes, Watch, Travel, Suits, Bags and other multipurpose purpose stores.